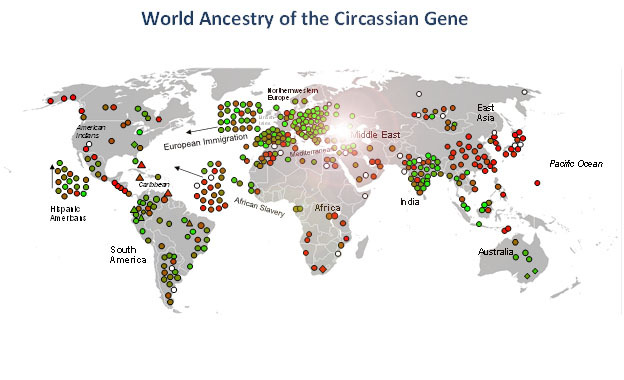 The Caucasian or white race derived its name from Circassian beauties prized in the ancient slave trade and medieval harems. This rare lineage attains high points in Russian, Turkish and Syrian populations. In Russia’s Belgorod (whose name means “white city”), it has a frequency of 11%. It is relatively common also in Lithuania, Estonia, Poland, Slovakia, Czechia, the Caucasus, Croatia, Slovenia and (naturally) Belarus (“White Russia”). There are few matches in African, Middle Eastern, East Asian and Native American populations. 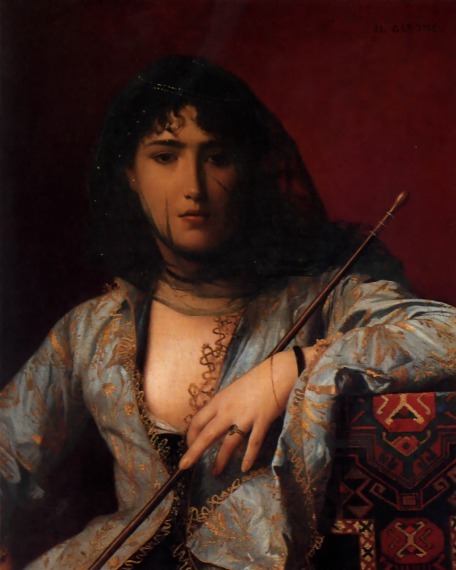 Circassian slave girls and boys were the ideals of beauty in antiquity and the Muslim world, creating the notion of a “white” or Caucasian race at the top of a hierarchy of races in eighteenth century England and Germany. Ironically, the inhabitants of the Caucasus region today do not appear to be above-average in looks or whiteness.